SeaWIFS (Sea-viewing Wide Field-of-view Sensor), a NASA project using satellites to collect ocean color data to quantify phytoplankton abundance. 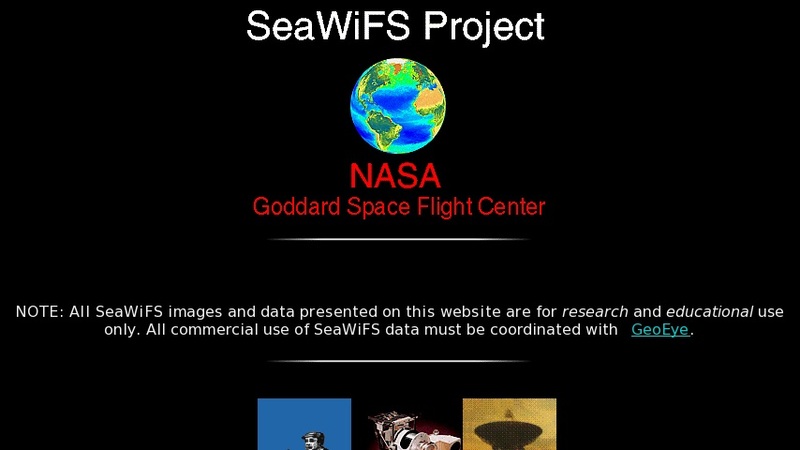 Provides background information on SeaWIFS project, technology and data. Teacher Resource section has: online presentation on how and why scientists study ocean color; Living Ocean Teacher's Guide with brief information on ocean color, carbon cycle and greenhouse gas effect; and, links to other websites with ocean color activities.